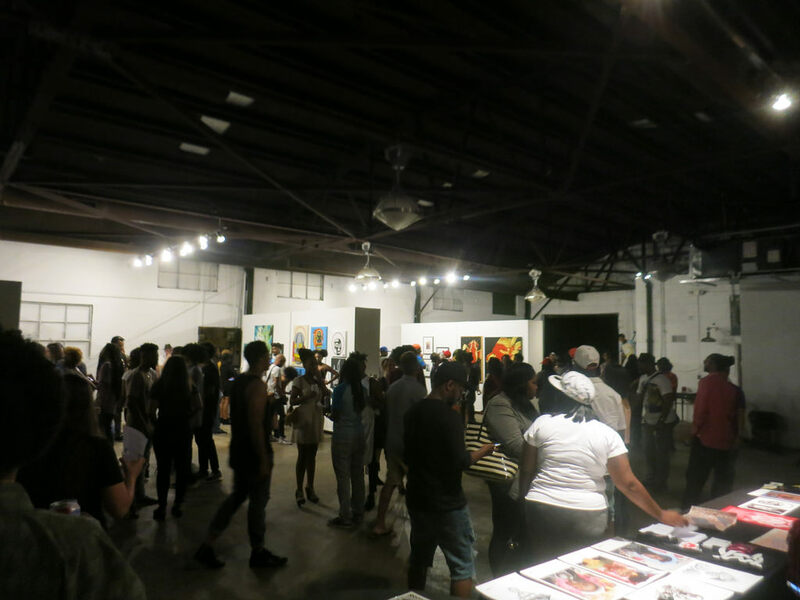 I think art is an "indicator species" and indications are pretty good around here: A mature thriving gallery on the near west side and brand new soon to be thriving gallery in south Atlanta. Parts of the same scene I think. 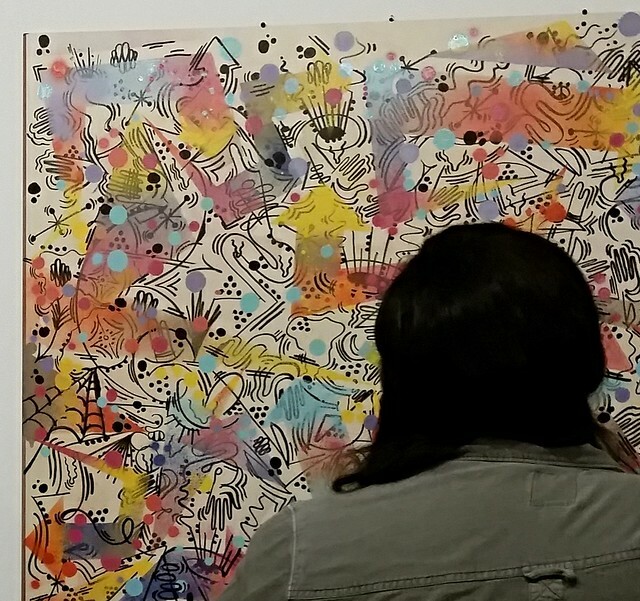 The Atlanta Contemporary's long running "Art Party" fundraiser was on August 29. I did a Terry's Tiny Art Show Video for each. I love they way they play together with 500 year old polyphony and modern ambient. They play one after the other. You can just listen while you are doing email. Great Space! Bravo Sharon Dennehy. Terry's Tiny Tips for Art Shows. 1. Just go. They really appreciate your interest. 2. Don't try to "get" anything. 3. Enjoy the people. Most don't "get it" any better than you. Talk to them. Most are just as shy as you are. 4. Galleries have their own regulars who only see each other at shows. They are the ones talking in groups, nice folks who will know the answers to your questions, who can point out the artists. 5. Admire the craftsmanship even if you don't enjoy the art. 6. Look at everything 3 times. It's not always love at first sight. Imagine them in your place. 7. Be grateful if you find something you like or affects you. 8. Terry's special tip: Don't hog the artists. Help them meet everybody. This one by Josh Feigert "got me" from across the room. I haven't the slightest idea why. I could totally imagine this at my house. I wonder if I'd like it as much the second time. There's an estate house building boom in Buckhead: prestigious streets, teardowns, our finest architects and builders, whopper houses. The Boss is different. It's a terminated vista. You can see the chimney long before you can see the house. Kind of busy at our place for the next month. But not too busy to show you Terry's Tiny Video of "Boss Chimney." 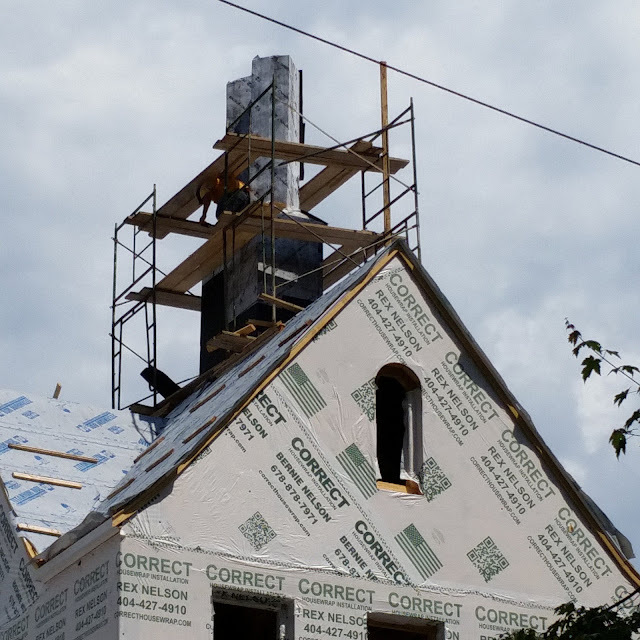 Boss Chimney is at the corner of Argonne and Pine Valley where you can see new homes designed by Stan Dixon, Frank Neely, Bobby McAlpine, and Terry Pylant (who designed "Boss Chimney" for Historical Concepts). There are 3 double-flue Lutyens inspired boss chimneys on the house but this one is the "Boss of Bosses." It terminates the sight-line as you drive west on Argonne from Habersham. Go see how Boss Chimney says, "Come Hither."